WE NYC – Women Entrepreneurs of New York City - is the official initiative of the City of New York to support and empower women entrepreneurs. WE NYC is the first city program in the country to address the entrepreneurship gender gap by offering a set of specialized business services to meet the needs of women entrepreneurs. 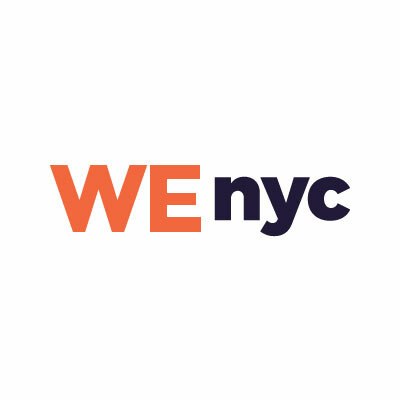 The impact of WE NYC on the economic ecosystem was recently highlighted in the Dell Global WE Cities Ranking, which cited NYC as the best city in the world for women entrepreneurs two years in a row. The WE Connect Mentors program was created to support the need for mentorship among women entrepreneurs. Mentors are invaluable in the success of entrepreneurs, at a minimum a good mentor helps build confidence, provides moral support and business guidance, and offers help in connecting to resources, networks, and customers. WE Connect Mentors should meet all the following required qualifications and at least 3 preferred qualifications. ·Nominee is a founder (with equity) or an owner of a successful business that is currently operating in NYC. ·Nominee is a resident of NYC or owns a firm that is NYC M/WBE certified. ·Nominee has been in business for 5 years or has previous year’s revenue of at least $500,000. ·Nominee will be available for at least eight 2-hour mentor sessions over the next twelve months (preferably 2 per quarter). ·Nominee is willing to volunteer their time, without payment or a business development goal. ·Nominee is reflective of NYC’s diversity of thought, experience, culture, identity, or background. ·Nominee owns a business that is operating in an industry where women are underrepresented. ·Nominee has a demonstrated commitment to community service/volunteerism. ·Nominee is a skilled public speaker/facilitator. ·Nominee is a proven influencer or has a substantial social media presence. ·Nominee is bilingual in English and Spanish, Russian, Chinese (Mandarin and Cantonese), Bengali, Haitian Creole, Korean, Arabic, French, Urdu, or Polish. If you have any questions please email WE NYC Program Manager Cody Jacobs at cjacobs@sbs.nyc.gov. * 3. How many people does your business employ? * 4. In the last 12 months, how much has your business generated in revenue? * 5. How long have you been an entrepreneur? * 6. Are you a certified Woman-Owned Business Enterprise (WBE)? * 7. Please provide hyperlinks for any additional materials such as press coverage, writing samples, videos or awards received.